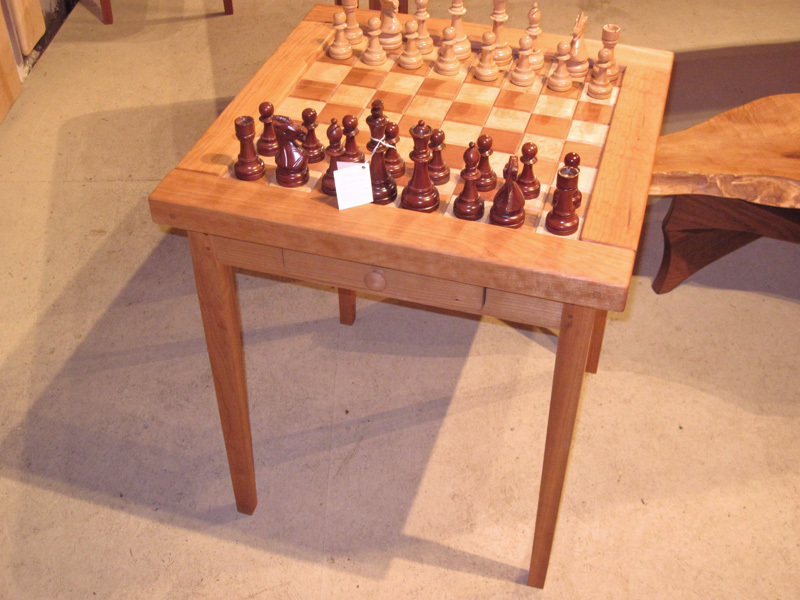 We make beautiful chess boards in 4 different combinations of Native Hardwoods. Also available are Chessmen to compliment your Chess Board. The playing surface of the Chess Board is of solid wood, with the entire board “wrapped” in a frame of hardwood approximately 2” wide and 1 ¼” thick. Playing squares are 2” x 2”, with an overall dimension of 20” x 20”.